Preheat oven to Gas Mark 4 (350F/180C). Create a hole in the centre and add the wet ingredients. Mix well until a dough forms (if mixture is too dry add milk, if too wet add flour). 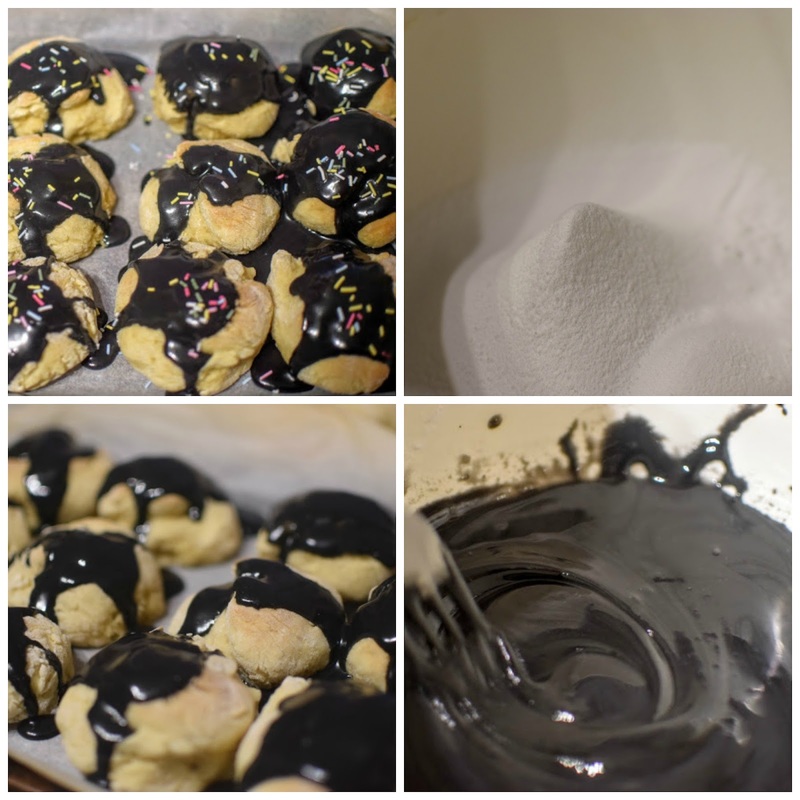 Knead the dough and roll out the balls (even young kids love this part). 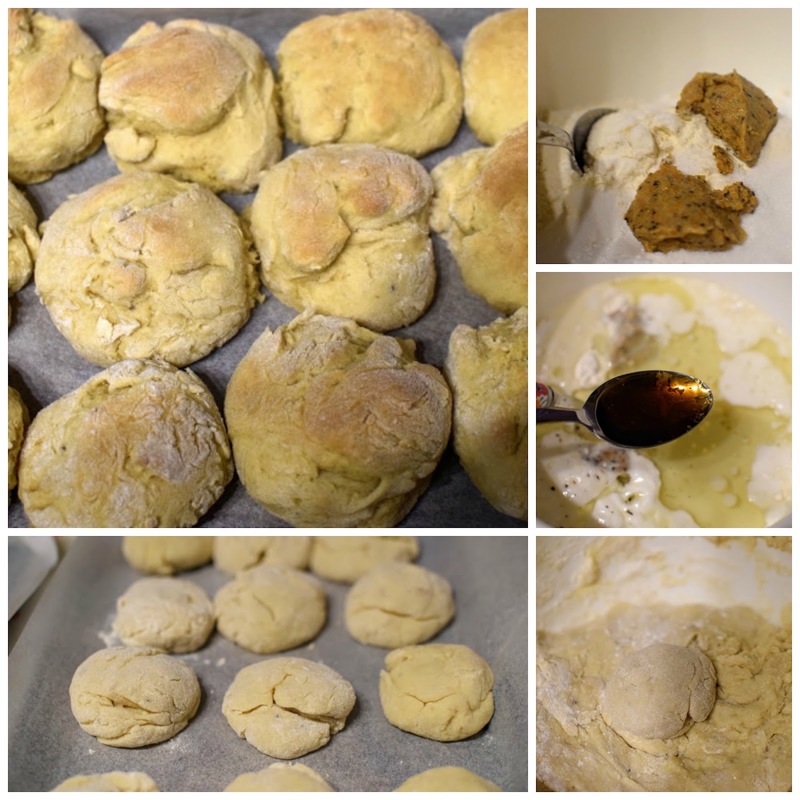 Place dough balls spaced apart on the greased baking trays. Bake for 8-12 minutes until golden. 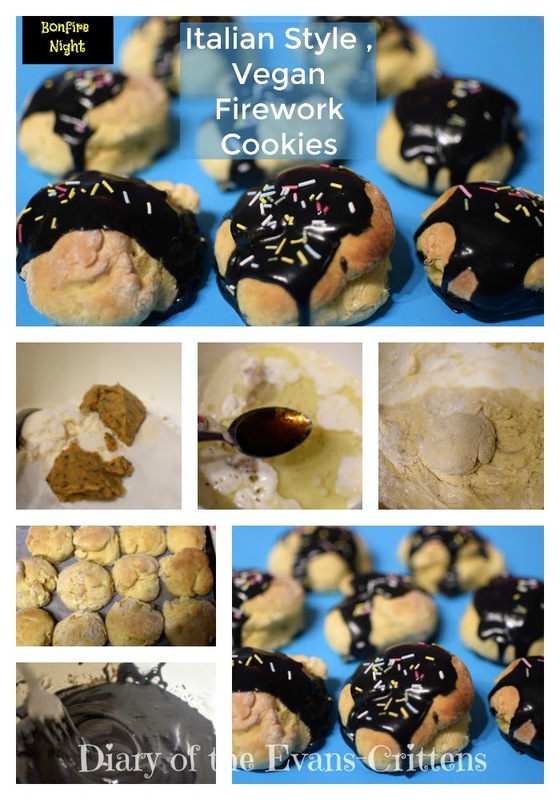 Mix together icing sugar as per instructions (I made up using 8oz of icing sugar but would recommend you double this). Once the icing is thick enough to coat the back of a spoon ice each cookie. 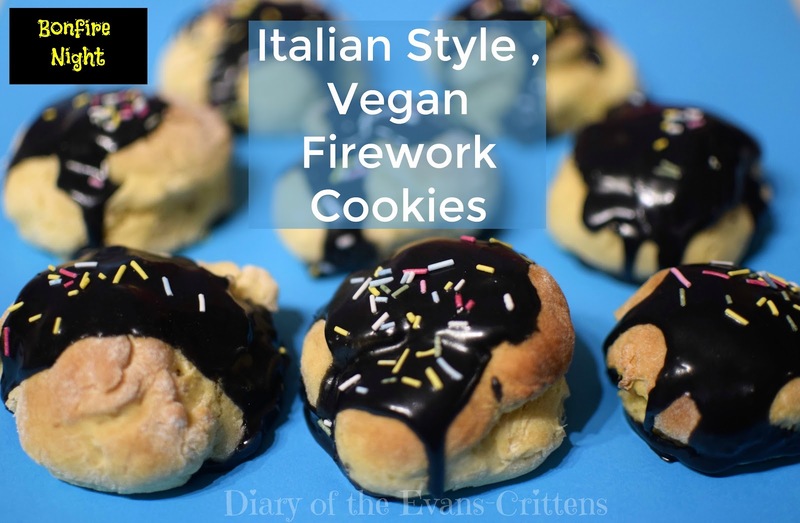 So there you have our recipe for Italian Vegan Vanilla Cookies, they taste great- enjoy!